It’s hard to imagine that an area of such memorable natural beauty could ever be “forgotten”. This impressive series of volcanic islands rise up abruptly from the oceanic depths and offer white sand beaches, incredible landscapes and they are completely off the beaten track. The surrounding crystal clear water is bursting with vibrant coral reefs and a staggering array of marine life. On land, the islands range from being completely uninhabited to supporting small local communities – who are always happy to welcome visitors. The Banda Sea and the Forgotten Islands (also referred to as the Barat Daya Islands) are one of the most remote regions of Indonesia so if you are hoping to escape the hustle and bustle of day to day life and really get away from it all, a Banda Sea cruise checks all of the boxes. This region is a world class cruising destination for experienced scuba divers – you’ll find no shortage of pristine reefs, schooling fish, sharks, rays and for those who prefer macro-life there is an impressive range of rare and unusual critters too. 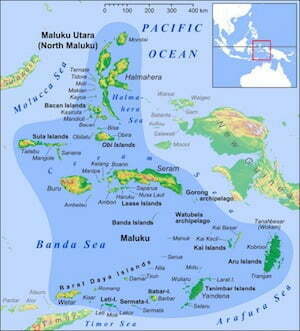 The Forgotten Islands sit in the heart of the Coral Triangle which is the richest marine environment on earth. 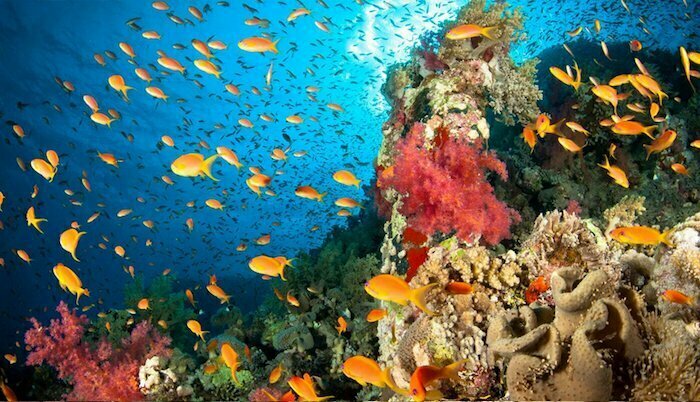 While only covering 1.6% of the planet’s oceanic area, the region has 76% of all known coral species in the world. As a habitat for 52% of Indo-Pacific reef fishes and 37% of the world’s reef fishes, it encompasses the highest diversity of coral reef fishes. 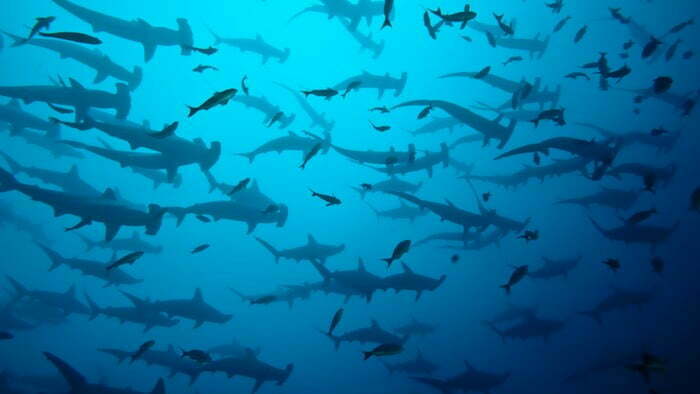 During the month of October, and early November, migrating schools of hammerhead sharks are a frequent sighting. For the intrepid divers and explorers who visit here it’s possible to witness hundreds of huge, graceful scalloped hammerhead sharks swimming slowly along in a migration which is still largely uncharted. This is an unforgettable experience and one which is seen by only a few. The shallow water reefs around the islands also make for phenomenal snorkeling, once you take a look underwater you’ll be mesmerised by the brightly coloured reef fish on display. El Aleph also carries paddle boards and sea kayaks for those who would prefer to stay on top of the water. The Forgotten Islands are within proximity of the Spice Islands, the Alor Archipelago, Raja Ampat and Komodo so for those wanting a longer cruise and to see more of this stunning Indo-Pacific region we can tailor make itineraries to meet your needs.